This is the perfect time to launch a career in the biological life sciences. The biological sciences are driving ground-breaking progress in health care, agriculture and environmental science. If you love science and want to know your work is helping others, biology or biomedical engineering are perfect fields of study. As biology or biomedical engineering major, you'll do hands-on research in our state-of-the-art labs starting in Year One. You'll work closely with our expert faculty, helping you become a seasoned researcher, well positioned for the job market or a top graduate school. We also offer biochemistry and molecular biology second majors or as minors and many of our grads have gone on to medical school. 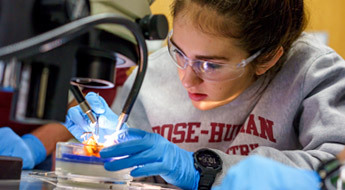 For graduates, we offer a Master’s Degree in biomedical engineering in cooperation with faculty from the Rose-Hulman departments of Mechanical Engineering, Electrical & Computer Engineering, Chemistry, Biochemistry, and Physics & Optical Engineering. 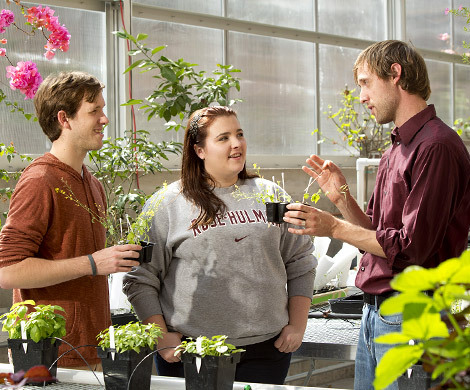 If you're applying to Rose and still need a class to meet our admissions requirement for biology, we've got you covered with our online BIO191 Environmental Science course. 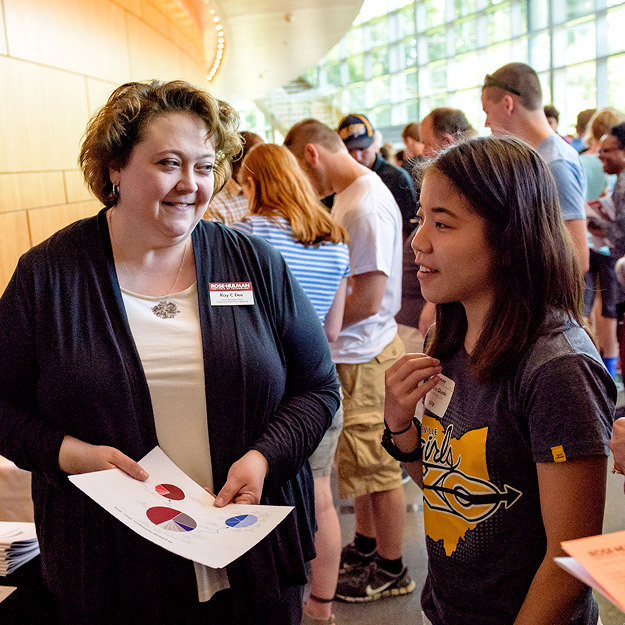 This highly flexible, online, 11-week summer course will allow you to get a head start on your first year as you earn credit toward your degree. 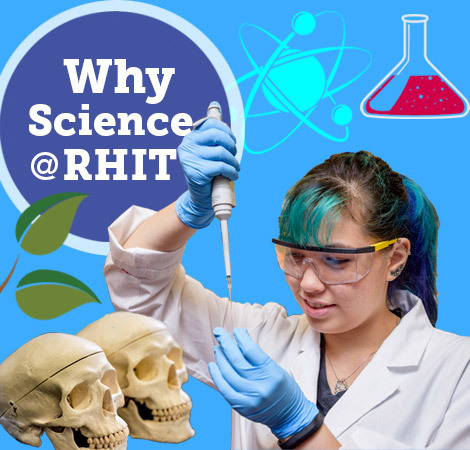 In it, you’ll study the impact of humans—both good and bad—and how engineering, math, science, communication and leadership skills can be used to solve environmental problems. The class is student-focused. 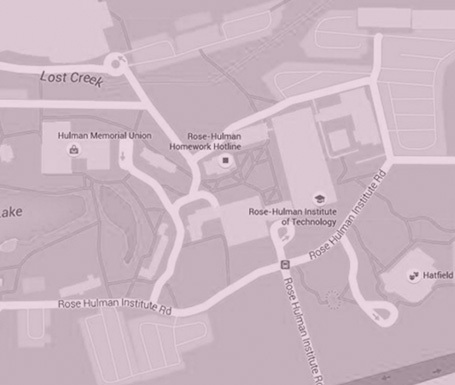 Like all courses at Rose-Hulman, your professor is there for you. There is a limit of 24 students for this course. Class runs from May 30 - August 16 with a well-earned summer break July 4-12. Topics we’ll cover include water resources, energy systems, and food production, and we’ll look at things from different scales—all the way from molecules to continents. Cost for this 4-credit course is $3268. That’s the discounted summer tuition rate--60% of regular tuition. (There is a $150 fee for students who register for a course and then cancel their registration before the course starts.) Ready to sign up? Register here. 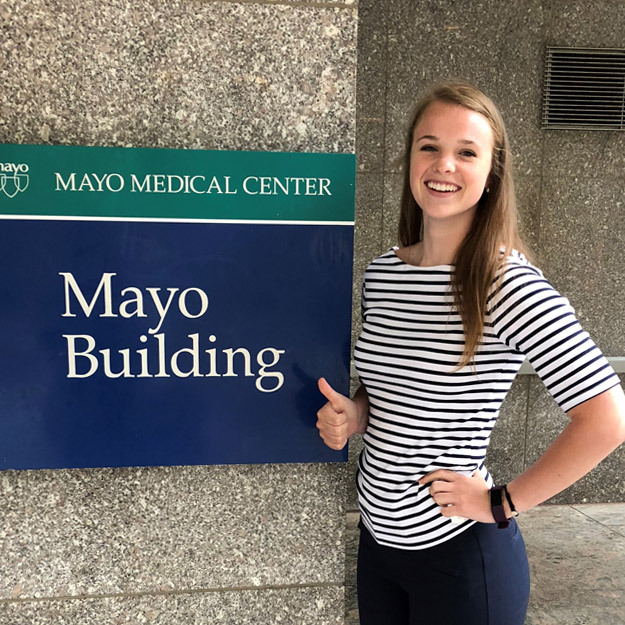 As a biology or biomedical engineering major, your opportunities will include many valuable, hands-on experiences to prepare you for a career or graduate school. 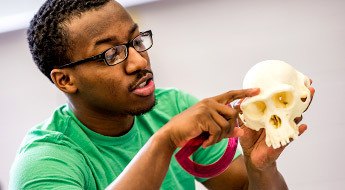 Our state-of-the-art labs, interdisciplinary projects, and cooperative research with renowned Indiana orthopedic surgeons will open new doors for your education and your future career. We offer majors in Biology, Biomedical Engineering, and a second major in Biochemistry & Molecular Biology. We also offer a Master’s Degree in Biomedical Engineering. A Biology major can open doors to graduate studies, medical school, environmental science, and other exciting career possibilities. 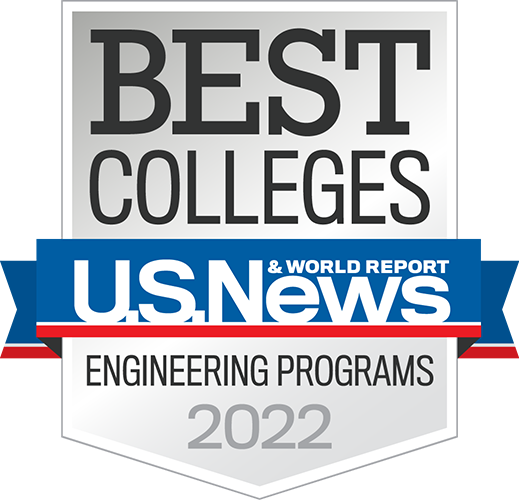 If you love engineering, the life sciences, and helping others, biomedical engineering is a wonderful career option. Many of our graduates find careers designing medical devices, conducting research, or even working as accident reconstruction engineers. It’s an exciting field combining the principles of engineering with the biological life sciences. 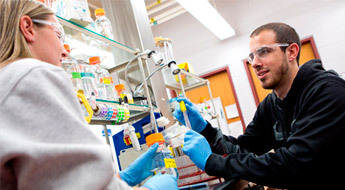 A second major in biochemistry & molecular biology is a strong supplement to any life science program. This second major provides the background and understanding necessary to open up career possibilities in the natural and life science fields. For graduates with an engineering degree who wish to pursue a career in health care, a Master’s Degree in Biomedical Engineering is an exciting choice. This program draws heavily on your engineering knowledge while applying that knowledge to the biological life sciences. 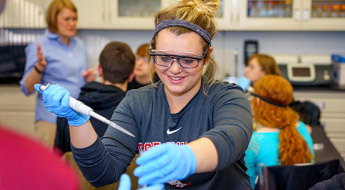 We encourage students from any major to consider expanding their knowledge of the life sciences by completing a minor in biology, biomedical engineering, or biochemistry & microbiology. The minor will expose you to entirely new career and research possibilities in an exciting and growing field. Dr. Jameel Ahmed’s areas of expertise cover physiology and biomedical instrumentation. He has done extensive research on neural-vascular interactions in the retina, which has included measuring and observing how such variables as oxygen distribution, blood flow, and rod and cone contributions affect the workings of the retina and optic nerve. 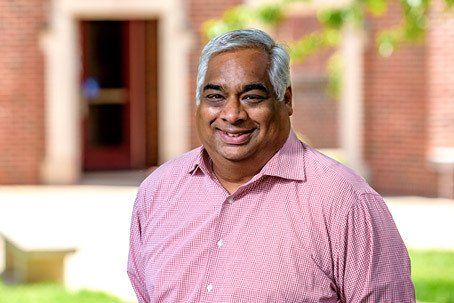 Dr. Ahmed has served as a member of the Leadership Advancement Program, which is a campus-wide effort to offer opportunities for students to develop their leadership skills. 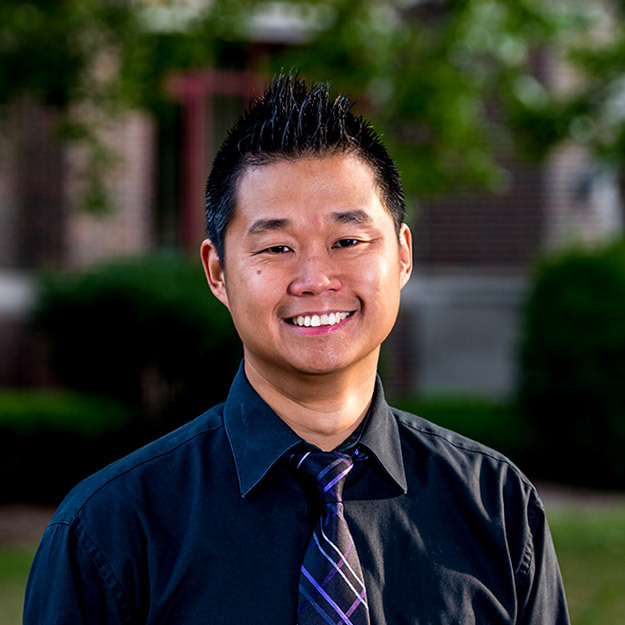 He also is active in the local community, serving on the Boards of Leadership Wabash Valley and the United Way of the Wabash Valley.